BAMOM19's SparkPage - Getting it right and keeping it right! BAMOM19's SparkPage - Getting it right and keeping it right! Brooks and me...miss him everyday! BAMOM19 is a SparkPeople Motivator! Getting it right and keeping it right! I am 59 years old and I've lost over 100 pounds and kept it off for over 9 years now. No gimmicks, no surgeries, no pills, or fad diets! Just eating right combined with exercise! I'm 58 years old, a mother of 5 adult children, married for 38 (this April 17) years, and I'm finally going to be my best! Here's my story so far: I have been a SP member since September of 2006. I was obese and just spectating through life. Everything was too difficult to do so I just sat and ate. I had no idea how much I weighed and thought I was comfortable staying that way forever. In fact, about a month before I adopted this healthy lifestyle, I had gone through my drawers/closets and thrown out all my "thinner" clothes. But, right before Christmas 05, I made a pact with my husband to start getting healthy and lose weight; my New Year's resolution. My husband, as a diabetic had been struggling with his diet and the complications from the disease, which made me fearful he would lose his eyesight. Instead of nagging him about his poor diet while scarfing down all the unhealthy foods, I realized by changing me I could help him too. Thus our pact was made. On January 2, 2006 I blindly started another attempt to lose weight. This time, however, I went in with a plan. I bought a small notepad and filled in every Monday from that day through January 2008 (the time frame I set for myself to lose the weight) making Monday's my weigh-in days. 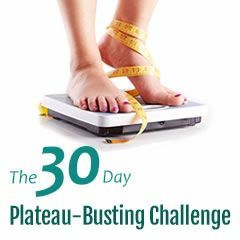 The next part was the scariest: getting on the scale which I had avoided for over 5 years; when I saw the number - 299 - I was overwhelmed with guilt and shame for how far I'd allowed myself to go. But, I vowed to never see that number again. I changed my entire diet by eliminating junk foods, fast food, dessert, and sugar laden food. I changed from white breads/products to whole wheat and sweet potatoes. I eliminated butter/Miracle Whip/cream cheese and replaced them with mustard and salsa. I bought a big bowl and keep it filled constantly with salad fixings and filled bowls on the counter with fruit. I bought a quart sized water bottle and kept it with me at all times, filled with cold water. My dinner plate was visually split into 3rds - two thirds were filled with vegetables and the final third was shared by my 3-4 oz of lean protein and either 1/2 cup of sweet potato/brown rice. Two years removed, and I'm still eating like this - and enjoying it. Exercise was another hurdle I had to face. I knew I needed to do something, but with all that bulk and the aches and pains that came from carting it around, walking was the only thing I could do. I could only go for 20 minutes at a time and I made myself go at least 3 times a week. The pounds starting dropping and I felt better with each one, until I was walking 45-60 minutes 6-7 days a week. I had lost over 80 pounds in those first 8 months and it was getting harder to keep losing, so for my birthday my kids gave me a gym membership and I started weight training. I knew a little about working with weights but had no real workout, per say. My son and his best friend came to the gym with me and worked out a program and showed me some exercises with free weights. I also advanced to running up to 3-5 miles 3-6 times a weekend frequently went jogging in the park with my daughter. I found SP in my ninth month of this journey and it was just in time to keep me motivated and teach me how to avoid plateaus. I know that without this site, I would have been satisfied with those 88 pounds and gone back to my old ways. Thankfully, I've continued to stay on my healthy plan and use this site to keep re-enforcing things I must do in order to never gain the weight back. I continue to read and research workouts, food plans, etc. and am very pleased with the changes in my body over these past couple years. I lost over 130 pounds in the first 15 months and had a high of 143 total pounds lost. My kids call me "skinny mom" now, and there are no sweeter words in the world! They, along with my husband have been my biggest support and inspiration! (They had given me an iPod for Mother's day 06 and inscribed the back with "don't ever give up Mom" I still use that as inspiration if I think I can't do something!) I only hope I make them as proud as they make me. No matter how many times we've tried before and failed, we are capable of succeeding. If it were easy, than it wouldn't be this rewarding to finally get there. Waking up each morning is a treat and treasure, my husband used to say that sunrise was the most beautiful time of the day, and I used to avoid ever seeing it, but now I'm able to appreciate it's beauty and the tranquility of the moment and reflect on how far I've come.. The happiest people don't necessarily have the best of everything; they just make the best of everything they have. 'Life isn't about how to survive the storm, but how to dance in the rain.' I've survived the storm and now will enjoy dancing in the rain! I think that my answer can be found in the line that says "You've got to believe that you will succeed! I've had some struggles lately, but quitting was never an option! Though I might never be that perfect diamond, I will never quit trying to get there. Thanks to SP's "Grant" putting my story out, I was given an opportunity to tell it to USA TODAY; here is the link to the 4/21/08 article. after suffering the loss of my oldest son on 6/17/2014, and gaining 40 pounds, I'm restarting my journey! Eating healthy and working out regularly are my 2015 goals. Healthy foods, plenty of fruits and veggies-whole grains-lean proteins in the proper serving size, are the basis of my meal planning. Gym workout3-5 days a week with at least 30 minutes of cardio. I'm a 59 year old mom from southern New Jersey. I have 5 children ages 35 - 28(youngest are twins) and 3 grandsons, one beautiful granddaughter. I recently suffered the loss of my oldest son. I've been married to my high school sweetheart(the world's best husband)and best friend for 38 years! I'm an avid sports fan and I umpire HS, ASA, & USSSA softball and HS field hockey. One of my fovorite books is The DiVinci Code and anything by Catherine Stone and the FBI series by Catherine Coulter. I am a huge 50 Shades fan, and also love author Sylvia Day. My favorite comedy is Tommy Boy, and my favorite drama is Godfather II. I love being a grandmother and babysitting my grandsons 3 days a week. 4/5/2016: Hey Spring....you can come back now! For anybody interested in participating in a BLC, please go to my page and click the BL Spring Challenge ALL Teams team. 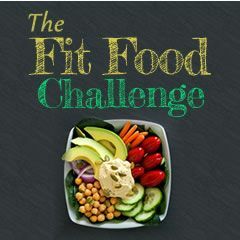 You can join the all-teams page and put your name on the list for the Summer challenge! If you'd like to join my team, the Dazzling Diamonds, let me know and I'll get you signed up for our team! 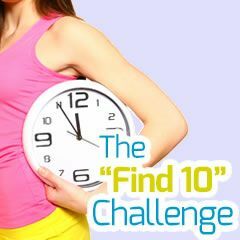 There are 10 teams, 24 team members each, and it's a 10 week challenge! Come join in the fun, meet some great people and work toward your goals!!! Thank you for commenting on my chat! It's so inspiring to talk to people who were in my shoes now and are now where I want to be! After being away from SP for a long time, I'm back looking up some folks who were so motivational to me before. I was happy to come across your page but saddened to read of the loss of your son! I know he had to be so proud of you and would be now knowing you are again taking care of YOU! I would like to again add you to my friend list, and wil be sure to say prayers for you also!